In 1968 these songs were recorded as demos at Glen Campbell Studio in Pittsburgh, Pa. and Bell Sound Studio, Long Island, New York. Asphalt Mother and Reach Out were released on the band's own Morning Glori Label as a 45 RPM single. Soon after, the band was signed to RCA records. The remaining tracks were never released, and were put away. The Master Tapes disappeared, and except for a brief emergence of the badly deteriorated 33 1/3 rpm acetate 15 years later in 1983, the songs were forgotten for several more decades. At the 1983 Carolina session. 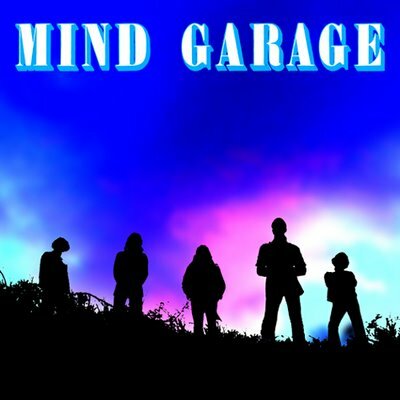 the first Mind Garage recording session since 1969, several cassette tapes were made from the acetate, which has since been lost. Then 21 years later, in 2004 one of the cassettes, now itself deteriorating, turned up and a CD was made from it. The CD sounded just like the old scratchy and popping acetate. The quality was completely unacceptable for release. But due to the perseverance of the lead singer, Larry McClurg, several attempts were made to remaster. It was an impossible task even for Rick Ravenscroft in the Rave Cave. The songs seemed doomed. But late in 2005 Rick came across a cassette in better shape that had been stored well, in the the possession of Evan Jones. Evan had played guitar with the Mind Garage at the Carolina session. The Carolina recordings have yet to be released. Rick Ravenscroft Music started the remastering project all over again. For three months Rick examined and restored each song, note by note. Collectors and fans will enjoy the raw, live sound, albeit with inherent sonic limitations. Audiophiles and self proclaimed experts should not expect perfect digital quality. Recently Rick sent me a note about making the CD. Actually, to jog your memory slightly; both copies of "The Early Years" came from Evan's cassette tape. I just sent the first copy untouched. There are audiophiles out there who would appreciate it more than the finished product. I do in many ways, but I also know the painstaking time I put in on the remastering, only to scratch it and do it all again. It was hundreds of hours, but as you know, I Loved every minute of being a part of it. I often thought I wish you could have been here while I was doing it. You probably would have thought I was crazy. Jack would have NEVER put up with it, and when I started to can it and start over, I questioned myself, but no.....it was "Water". Every single time, it was "Water". I Loved that song, and The Ring played a cover of it while you guys were still doing it. Here was the brand new "original" version, and I wanted it to be the best of all, and don't you know it was THE hardest one to process because of all the silent parts. It had to be in the hundreds of thousands of times that I listened intently to; "WELLL, HEAVY......" just those words. The very opening. I had all of the noise compensated for on the front end. There was a little "worbble" on the quiet guitar tracks, but not deadly. The loud parts were fine, but when it dropped back to the basic intro and the words came in.......every time I had the noise at a tolerable level, it made the vocals flange. Right on that opening word. I even tried cutting and pasting, which was a tedious nightmare. In the end, I had to settle for compromise; a little more noise, and a tiny bit of flange. So, I appreciate what I did to it. I also appreciate it as it was. The worst part was taking it from a cassette tape. If I could have taken it directly from that acetate, I would have had so much more head room to work with. Plus I could've played it wet with warm oil to keep out a lot of the scratches in the first place, and then only deal with the nasty pops. But hey...it is what it is. Five years later in 2009 the Early Years songs were "discovered" by Anazitisi Records. The sound was remastered once again for vinyl at Anazitisi studios and released in Europe, Australia and Japan. Only Rick's skill and dedication has made the release of the CD and vinyl possible. 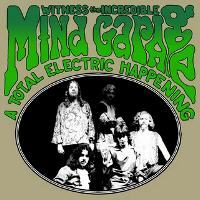 The vinyl album "A Total Electric Happening " is available to purchase on the internet at http://www.anazitisirecords.com as either black or colored vinyl. WITNESS THE INCREDIBLE MIND GARAGE !